One of our first and definitely not our last DIY step by step tutorial! 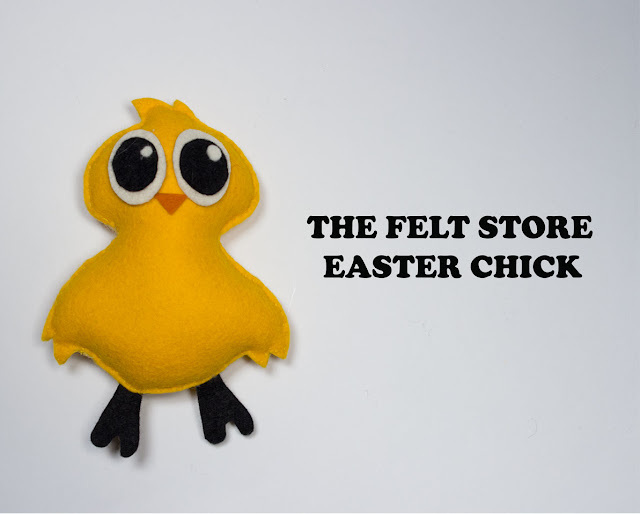 On how to make your very own Felt Easter Chick! 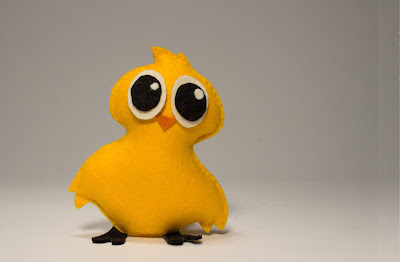 We had tons of fun crafting this little guy, we thought to share it with all of you and make sure our little felt chick has some friends :) So Let's get started! 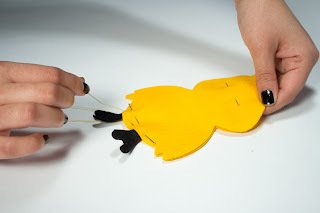 3) You'll place the feet in between the chick body and secure it in place with a pin. 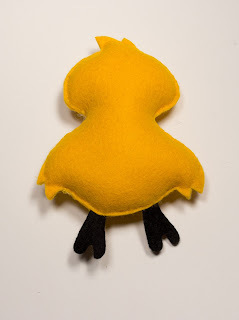 Once the pieces are aligned together, it's time to start sewing! 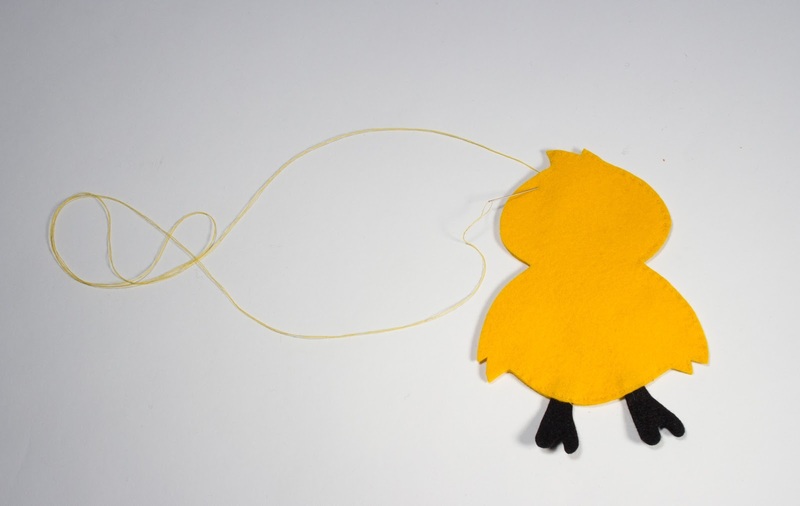 Start where the feet are and sew about half way till you reach the top of the head. Or enough room for you to be able to stuff the chick. Whatever you prefer. Refer to the images below. 4) Once you've gotten to your desired location it's time to start stuffing! 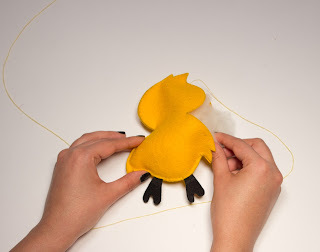 Make sure to keep the thread attached to the chick. 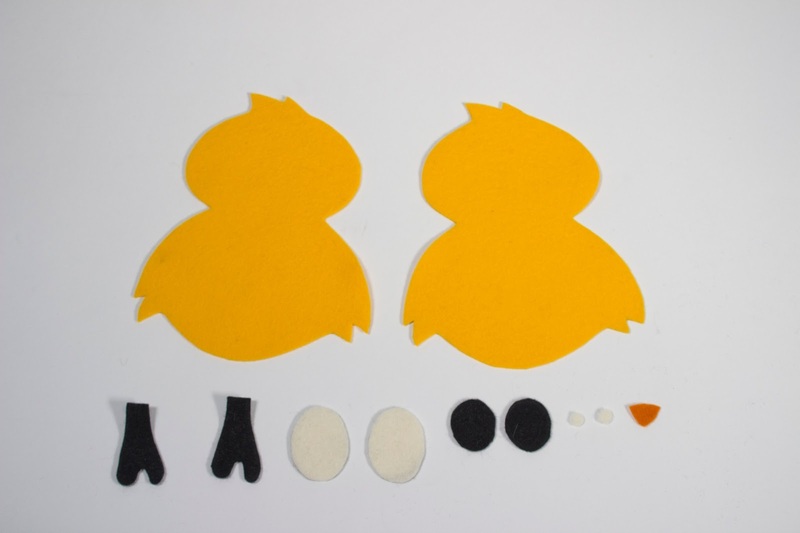 Stuff to your desired plumpness and while stuffing you'll also continue sewing to eventually close the chick entirely. 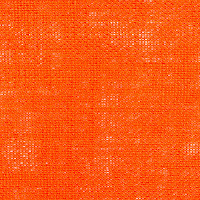 Reference images below. 5) The sewing part is over! 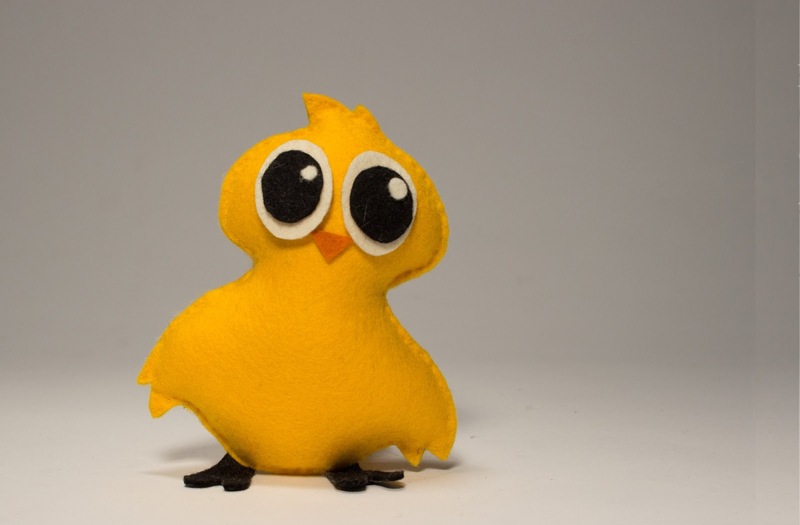 You're more then half way done the Easter Chick! Now, it's time to start gluing. Once the glue gun has heated up, take the white felt & black felt circles (which will be the pupil). Dab a little glue onto the black circle and place it in the centre of the white oval. Now take the small white circle, dab a little glue on the black circle where you would like the "glare of the eye to be" and press down to stick in place. Glue the eye onto the body of the chick, dab glue at the centre of the white oval and two more dabs at the top and bottom of the eye. 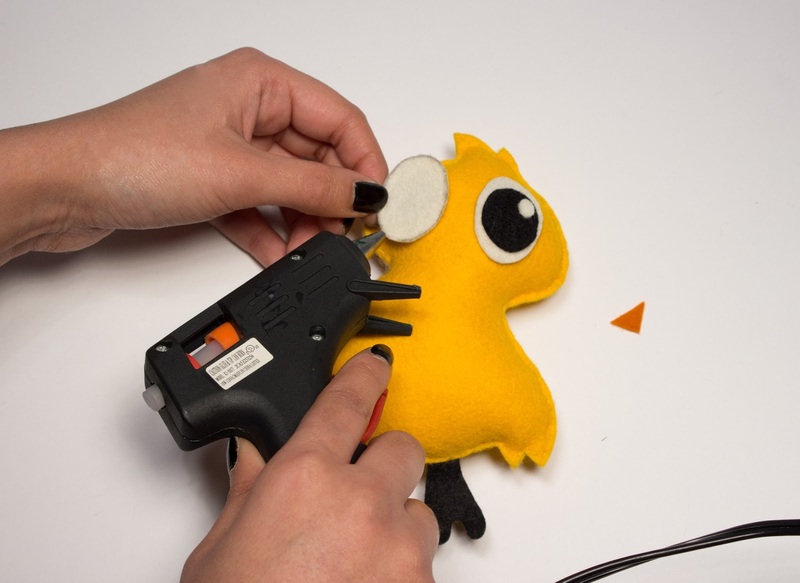 Press the eye onto the chick and repeat the process for the second eye. Spring Forward with our Felt Clocks!